Estrella Falls is located at the foot of Mount Victoria, in a Municipal Park, approximately 2 hours from central Puerto Princesa. 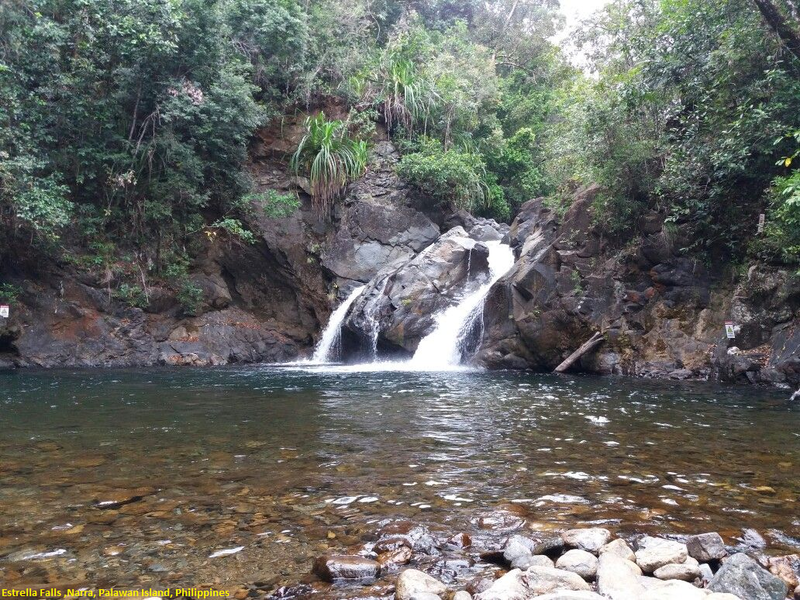 Estrella is a Twin Waterfall located within a forest, known for its fauna and flora, offering cool water pools and shaded areas. This tour is ideal for people who wish to get away from the City and to enjoy the forests, which this area of Palawan is known for. The area is great for horticulturists or photographers as there is an abundance of Orchids, Pitcher Plants and Ferns. Pack a swimming costume and enjoy a day of lazing by natural water pools and stunning surroundings. Private Vehicle -:Take Puerto Princesa South Road going to Narra. Before reaching the town you will be passing by Bgy Malatgao. Turn right at the junction and go straight until reaching Estrella Village Welcome arc. From here, there are signages that points to the waterfalls. Or you can ask the locals to be sure.